A solid, intensely moisturising body balm that melts in the palm of your hand and is applied like an oil. Rose otto oil, jojoba oil and sweet almond oils. Tip: If you have longer dry hair wipe the excess off your hands into the ends of your hair. 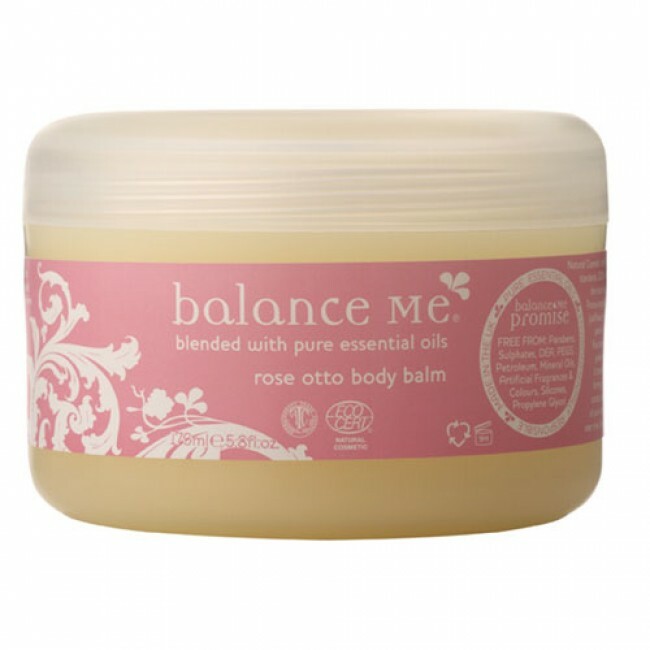 In conclusion Balance Me's Rose Otto Body Balm is totally worth the £20 price tag. If you're lucky you will find it on sale like I did today! I bought three. That's me moisturised for the rest of the year....well maybe. Available at Waitrose, Ocado and Balance Me in the UK.